"Honest, funny and at times a little sad, Singlehood willbe enjoyed by singletons and smug marrieds alike." Singlehood is a funny and uplifting dramatic comedy exploring the art of being single. Renowned for her documentary theatre practice, Una McKevitt in collaboration with writer David Coffey (Dan & Becs, Fade St) interviewed real life Singletons to bring their raw and revealing stories to the stage to hilarious and devastating effect.With a fantastic ensemble of 7 performers including comedian Eric Lalor, Singlehood is an exclusive look at the personal triumphs and losses we all experience but seldom articulate, framed by a stomping single’s soundtrack and original songs by Aidan Strangeman. The experience of being single in today's society is a prevalent one as people choose to marry later in life, find themselves single after separation or, increasingly, choose to live alone. 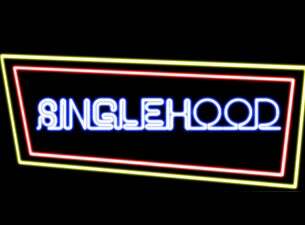 Added to that the massive momentum of online dating and the appeal for this show is clear; as well as offering big laughs Singlehood is a thought provoking show looking at how we organise ourselves differently in this increasingly global and fractured society. In making Singlehood Ireland is at the cutting edge of exploiting this single experience for stage.